Jiaxing Huang discovered crumpled graphene balls six years ago. One current solution to bypass lithium’s destructive dendrites is to use a porous scaffold, such as those made from carbon materials, on which lithium preferentially deposits. Then when the battery is charging, lithium can deposit along the surface of the scaffold, avoiding dendrite growth. This, however, introduces a new problem. As lithium deposits onto and then dissolves from the porous support as the battery cycles, its volume fluctuates significantly. This volume fluctuation induces stress that could break the porous support. Huang and his collaborators have solved this problem by taking a different approach — one that even makes batteries lighter weight and able to hold more lithium. 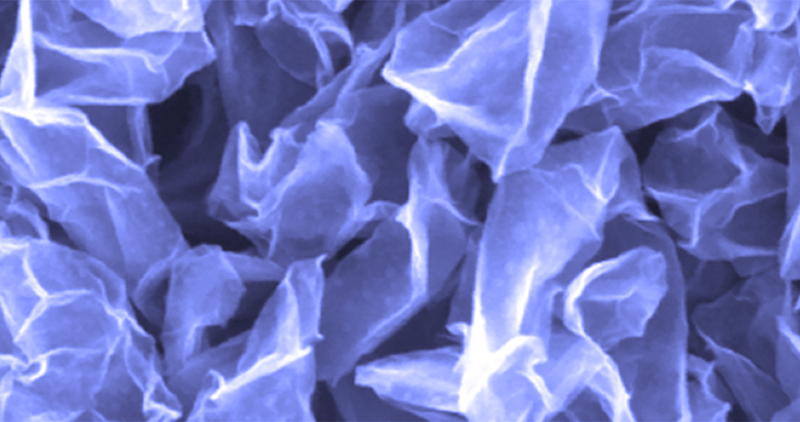 In Huang’s team’s battery, the crumpled graphene scaffold accommodates the fluctuation of lithium as it cycles between the anode and cathode. The crumpled balls can move apart when lithium deposits and then readily assemble back together when the lithium is depleted. Because miniature paper balls are conductive and allow lithium ions to flow rapidly along their surface, the scaffold creates a continuously conductive, dynamic, porous network for lithium. Compared to batteries that use graphite as the host material in the anode, Huang’s solution is much lighter weight and can stabilize a higher load of lithium during cycling. Whereas typical batteries encapsulate lithium that is just tens of microns thick, Huang’s battery holds lithium stacked 150 microns high. 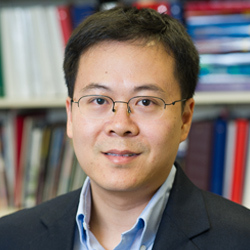 Huang and his collaborators have filed a provisional patent through Northwestern’s Innovation and New Ventures Office (INVO).